This episode features a talk by Isa Gucciardi, Finding Meaning in Loss, which she gave at the Reimagine End of Life Conference in Berkeley, CA. In this thoughtful and uplifting talk, Isa encourages us to create the spaciousness required to truly be with the experience of loss, grief, and even death. She examines ways of navigating loss, and explores Buddhist perspectives on theme, while also offering practices that will help us approach death, our own and those we love, with awareness and... moreThis episode features a talk by Isa Gucciardi, Finding Meaning in Loss, which she gave at the Reimagine End of Life Conference in Berkeley, CA. In this thoughtful and uplifting talk, Isa encourages us to create the spaciousness required to truly be with the experience of loss, grief, and even death. 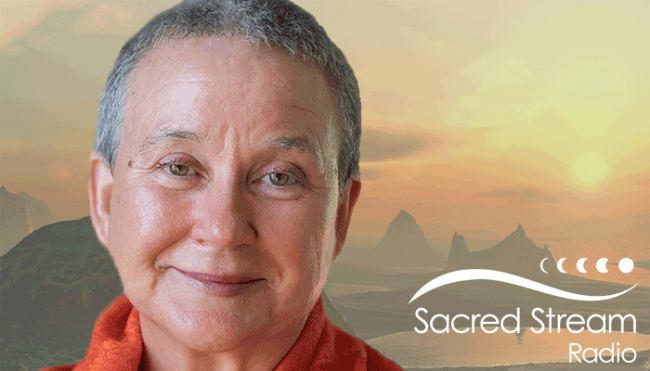 She examines ways of navigating loss, and explores Buddhist perspectives on theme, while also offering practices that will help us approach death, our own and those we love, with awareness and grace.This episode features a talk by Isa Gucciardi, Finding Meaning in Loss, which she gave at the Reimagine End of Life Conference in Berkeley, CA. In this thoughtful and uplifting talk, Isa encourages us to create the spaciousness required to truly be with the experience of loss, grief, and even death. She examines ways of navigating loss, and explores Buddhist perspectives on theme, while also offering practices that will help us approach death, our own and those we love, with awareness and grace.